Rock Art in western Alps is taking an important place in Alpine Rupestrian Archaeology. New research methods and groups, new recent discoveries are step by step focussing on an interesting particularity which cohabits at the same time with surprising resemblances with Valcamonica Rock Art. Here listed some online resources from this site. Western Alps – Italy and France – engraved rocks and rock paintings: 78 records regarding many alpine valleys (Ubaye, Valle Po, Rocca di Cavour, Valle Pellice, Valsusa, Valcenischia, Haute Maurienne, Valchiusella, Val Vigezzo...). The records are taken from the EuroPreArt database (marked EPA, English only) and from the ARchivio Online (marked ARO, Italian and English) project (by GRCM). In the case of duplicated records and titles, the content is slightly different. Footsteps of Man worked in western Alps, the most in Susa (Turin), Albedosa (Alessandria), Vigezzo and Po valleys, performing professional projects of recording and tracing prehistoric engraved rocks and rock paintings. One of the most active research groups has been the GRUPPO RICERCHE CULTURA MONTANA (GRCM), in Turin: it studies Alpine culture and heritage, and also Rock Art, the most in Susa Valley, west of Turin, near the border with France. This group is a voluntaristic one, and it is working in Rock Art research from 1976. His logo is taken from a figure engraved at the end of the last century by an hermit stonecutter living in summer in a mountain rock shelter. He engraved an entire rock surface with dogs, goats, and fantastic figures (perhaps referring to some carnival ones). One of the most diffused Rock Art elements in western Alps are cup-marks. It is very difficult to interpret them. 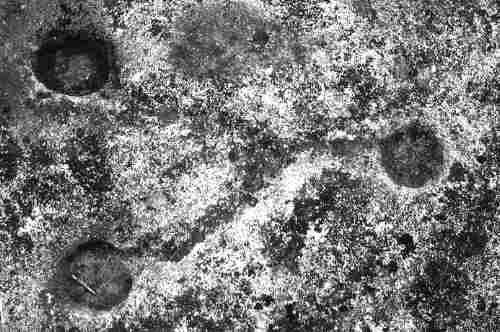 Cup-marks at Susa have been undoubtedly made during late Iron Age: they denote an execution by metal tools and they are covered by a III century AD roman wall. Recently it was found that cup-marks at Rupe Magna (Grosio, Valtellina) cover every other figure, and they too belong to Iron (Middle) Age. Cup-marks in Albedosa Valley have been recently recorded by Footsteps of Man under commission of Archaeological Superintendence. Also here they denote an execution by metal tools. Very interesting the footprints, which in Valcamonica take place in Middle Iron Age Rock Art (often near etruscan inscriptions). In the Albedosa valley the largest rock is named Saingiu dei Strie, meaning Rock of the witches. It can denote a lost link to pagan rituals. New figurative elements have been recently found in Susa Valley. Paintings and engraved signs show warriors, weapons, spirals and meanders. 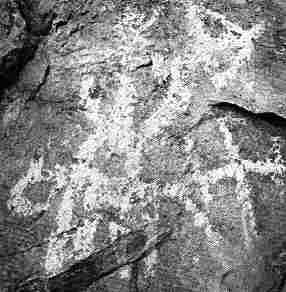 Iron Age rock paintings have been found in 1989-1991 in Susa Valley, at 100-1200 m of altitude. They consist in warriors with arch and shield, sometimes riding a horse. The bi-triangular style of some figures and the context of the scenes let suppose an Iron Age dating of the paintings. The X-ray diffractometry analysis found in the white paint weddellite, gypsum and calcite. No organic matter were found. Two groups of figures are known, at 1000 and 1300 m of altitude. Engraved meanders and spirals are diffused on limestone surfaces. In this region they seems to belong to a Final Bronze Age - First Iron Age periods. Some of them in Haute Maurienne, the nearest French Valley, are related with topographic engravings. Axes presents a typical half-moon shaped blade, which is clearly related with the axes of the Final Iron Age, like the Ornavasso (Piemont) ones. The rocks are actually studied and recorded by commission of Archaeological Superintendence. Anthropomorphic figures superimpose meanders and can be related to some Roman-Celtic plaquettes. Anthropomorphic figures are rare, but well present and diffused in many valleys, with some surprising resemblances with Valcamonica. 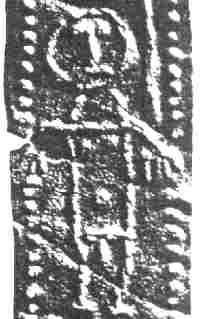 The Pera dij Crous (The Stone of the Crosses) in Valchiusella shows about 50 anthropomorphic figures (Copper Age). Big anthropomorphic figures lies, always on limestone, in Valgrana. closely linked to some French paintings (Ardèche) and to anthropomorphic figures of Bronze Age in Valcamonica. 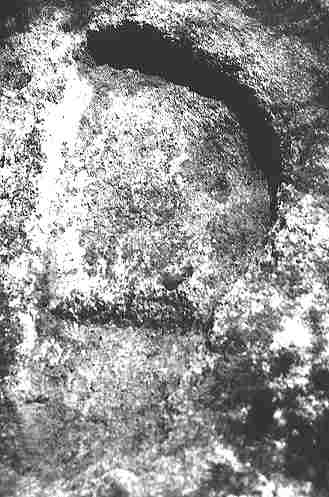 New engraved rocks have been found by GRCM in summer 1995 in Valcenischia: warriors with swords and square body. At last (but not at least...) middle Iron Age warriors, with spear and triangular body have been studied, with much more figures, in the rocks of Haute Maurienne by F. Ballet and Filippe Raffaelli, Musée Savoisien. An interesting hunting scene, with a probable inscription lies at more than 2300 m of altitude in Haute Maurienne. The "Steinboks rock"lies very closely to an high-mountain path: here the evidence of how old are most alpine trails. There is a close likeness with Valcamonica middle Iron Age hunting scene (V-IV century BC). Mount Bego is on the most important Alpine Rock Art area: the French équipe of Prof. H. De Lumley in 20 years of work (and tracing) counted more then 30.000 figures. Mount Bego (Maritime Alps, France) engravings (Neolithic - Ancient Bronze Age) have been first and greatly studied by C. Bicknell, in the first years of this century. They were later studied by C. Conti, who counted more than 30.000 figures, and excavated the rock shelter called Gias del Ciari, founding Cardial Neolithic material. The engraved rocks lies over 2000 m of altitude, till 2500. The most figures are horn-shaped, then it's easy to find daggers and halberds (Bronze Age), topographic figures (round and reticulated), not many anthropomorphic ones, with some interesting agriculture scenes (with plough and oxen), few spirals. Reference book: DE LUMLEY H., 1995, Le grandiose et le sacré, Aix en Provence. Immagini dalla Preistoria, Incisioni e pitture rupestri: nuovi messaggi dalle rocce delle Alpi Occidentali. 50 panels (text, color pictures, tracings), archaeological objects and reconstructions, moulds of engraved rocks. In Italian. Based on engraved and painted rocks in Western Alps, organized by Archaeological Surintendency of Piedmont, Cuneo Municipality and Footsteps of Man. Volume a carattere archeologico ed etnografico sul rapporto tra arte rupestre e danze armate tradizionali della Valle di Susa e della Valcenischia; 310 pagine a colori - 31 pagine in anteprima web. Acquistalo ora online (Paypal - carta di credito): 33.50 € comprese spese di spedizione (Italia). The sword upon the rock (Italian - French). Archaologic and ethnographic book treating the relationship between rock art ans traditional Susa valley weaponend dances (sword dances). 310 color pages, 31 pages onf web preview. Buy it directly online (Paypal or Credit Card): 33.50 € (Italy) or 41.50 € (Europe) shipping included.